Voting is now open for the EFA board elections. If you’re a member, you should have received an email from the OpaVote system with a link to so you can vote for new board members. It might have gone into your spam folder—mine did—so check there. If it hasn’t turned up, email memberadmin[at]efa.org.au to get them to help you out. After persistent questioning by myself, and others, about the financial reports from EFA, the board have finally noticed that actually, yes, I do know one or two things about financial accounting, and yes, there were some major issues with the accounting. Kudos to the new Treasurer, Shaun Haddrill, who has been dropped in it by previous boards who failed to notice the problems earlier. He’s had to do a lot of work getting things into some semblance of order. 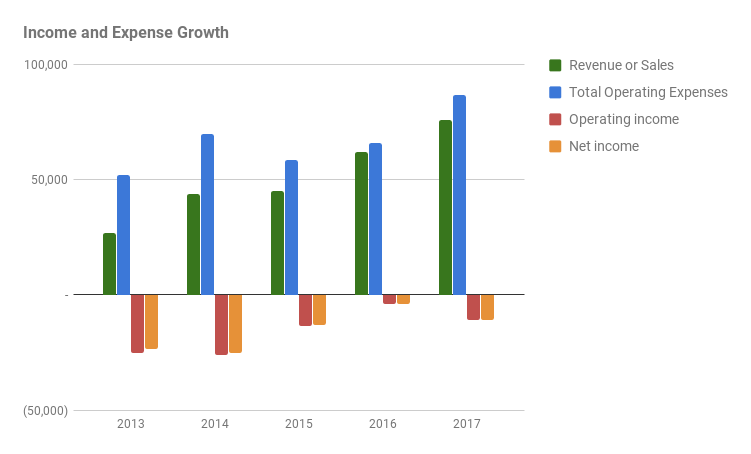 That process has meant making major restatements of previous income and expenditure, and shown that EFA has made losses for the past five years, despite increasing revenues. At the end of the past financial year, EFA had negative equity, meaning its debts outweighed its assets. A recent donation of $20,000 from Google means EFA has just enough cash to cover its outstanding debts, but it can’t really afford to rack up many more, with just $2,075 in equity when the latest reports were run. I had to take a pretty blunt tone with the board to get this to happen. I take no pleasure in it, as it should not have been necessary. People got very annoyed with me, and probably still are, for asking these pointed questions, but hopefully they can now understand why it’s important. The members should now have a much clearer understanding of the financial state of the organisation, and what that means it can, and cannot, afford to do. In an email response to my questions, the current Treasurer commented that “Excluding two one-off expenses, the average monthly expenditure for FY1718 to date is $5,950.” The board has been maintaining an unsustainable expenditure level for years, as the chart below illustrates. 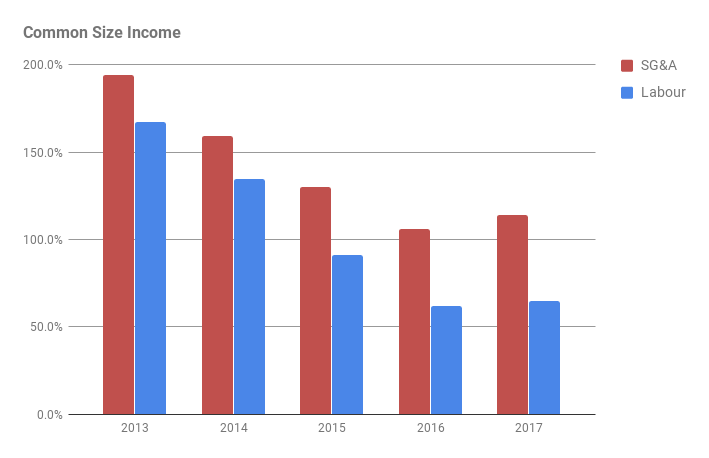 Income and expense for EFA for the past 5 years. Spending more than you earn eventually results in running out of money, and the EFA has spent all of its cash reserves. I propose that, if elected to the board, I will work with my colleagues to put a stop to the constant losses and find a way for EFA to be profitable so that the profits can be re-invested in growing the organisations capabilities, which is what not-for-profits are supposed to do. Members present (or via proxies) at the upcoming AGM this Sunday will need to vote on several agenda items. Here are my current views on these items, and some commentary and questions I feel are still outstanding. The level of detail in minutes has historically been insufficient. I have no evidence to suggest that the minutes presented are not accurate, so I will be voting to accept the minutes. However, should I be elected to the board, I will be insisting that more detailed minutes are adopted as standard practice so as to better inform the membership of the way in which EFA decisions are made. With the work done by the Treasurer and executive to fix the problems with the accounting, I believe the financial reports are likely to provide a true and fair view of the financial state of the organisation. However, my support for accepting the accounts is conditional on the board auditing the accounts. The board was directed to audit the accounts at the 2013 AGM held on 13 November 2013 but in the Treasurer’s most recent email, he confirmed what I suspected: no such audit was conducted. This is a fairly serious failure of governance, and indicates that the board has not taken sufficient care that it act in accordance with the members’ wishes. I believe that had an audit been conducted at the time, the issues with the accounting would have been uncovered and fixed much earlier, and EFA would likely be in a much stronger financial position than it is today. I will question the board about why this audit was never performed. My acceptance of the accounts is conditional on receiving satisfactory answers to my questions. This year, like most prior years, the majority of the report concerns itself with the many activities undertaken by EFA board members and the Executive Officer. This broad set of activities is part of the reasons EFA’s finances have suffered; EFA has tried to do too much, and has not kept its eye on funding appropriately. Membership figures have been inconsistently reported over the years, so it’s not possible to show a long-term trend. Certainly, revenues have shifted from being more than 50% membership driven in 2015 and earlier to mostly donations, which appear to be from a few corporations. This concentration of funding is more precarious than a broad, membership driven revenue base, and I believe it is due to the lack of engagement with members from EFA over the past few years. This has been a consistent view put to me by members over the past month. The discussion of the finances fails to mention the issues uncovered recently, which is disappointing. Labour expenses seem to have been the primary cause of financial difficulty for EFA, both as a proportion of overall spending, and the historical issues with payroll accounting. Staff related debts also make up the majority of the organisations liabilities. I would like the membership to discuss what it sees as the role of paid EFA staff, and whether they believe resources are being focused in the right areas. I intend to vote to accept the annual report. I believe the members should direct the board in clear, unambiguous terms, that the accounts for FY 2016-17 must be audited. We must ensure that the accounts are correct before we attempt to move assets into a new corporate entity. I believe the members should direct the board, also in clear, unambiguous terms, that the accounts for FY 2017-18 be audited to ensure they remain in good shape, particularly if they transition to a new corporate entity. The accounting for such a move is not trivial, and the relatively simple accounting for the organisation has so far proven problematic, so we should ensure that new accounting treatments are well documented so that future boards are clear on how the accounts are managed. Let us not repeat the mistakes of the past. Voting will have been completed, and I hope the members are satisfied with whomever they choose to make up the new board. While I am broadly in favour of the move to a federal corporate entity, I don’t believe the current board has shown sufficient attention to detail that the members should support the specific Constitution draft that presently exists. It has been modified only in the past week in response to questions from myself and others, so I believe the newly re-engaged membership should be permitted additional time to clarify how the new board will run the new corporation in their interest. I believe the new board should be given an opportunity to more clearly express its mission, and to provide details on how the move to the new corporate entity will occur, what happens to existing memberships as they are moved, what the financial starting point of the new entity will look like, and generally how it will perform differently to the existing EFA. There is insufficient clarity around these issues at the moment. I do not believe a newly elected board should be bound to execute on a plan not fully thought through by a previous board, given the recent history. I propose the motion be amended to authorise the board to incorporate a company limited by guarantee, with the board at that time serving as its initial directors, conditional on acceptance of a new constitution and transition plan to be provided by the new board within six months of the AGM. The acceptance of the new constitution and transition plan should then be put to the members as a Special Resolution, which would authorise the board to enact the plan. I would support such a motion.